One of Europe’s major science museums, the Cité des sciences et de l’industrie in Paris, attracts nearly 2.2 million visitors each year. At the site, the Cité des Enfants attracts almost 600,000 children per year. 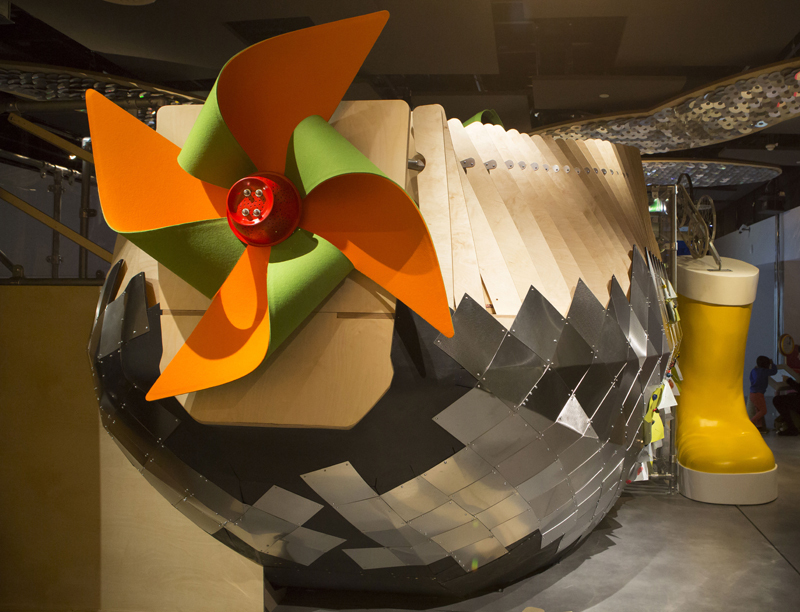 Open to kids from age two and up and spread out over 1,700 m2, the Cité des Enfants aims to encourage awakening interest in science and technology. It comprises five thematic areas: "Getting to know myself", "I can do it", "I can find my way around", "I can test" and "All together". The first three areas address the development of children’s bodily, cognitive and spatial faculties. The last two provide the opportunity to open up to the world and others. As part of its partial refurbishment, the Cité des Enfants enlisted the Mustela Foundation's patronage. In particular, this involved producing a “special ship” within the “I can do it” area: a new fun teaching platform. Dating back to 2007, the "I can do it” area was divided into small activity cells. As this structure proved to be impractical given the considerable throughput of visitors, it underwent a significant change during refurbishments to the Cité des Enfants. The objective was to create a more open space, while retaining the more successful elements and adding new activities. A major component of “I can do it” will be the “special ship”, a dreamlike contraption placed in the centre, with a natural wood structure and made with salvaged or reclaimed materials. Children will be able to operate some of its components, do some DIY and decorate: tightening screws, fitting pieces together, tying knots, sorting materials and tools, working gears, etc. The “special vessel” will thus help children develop fine motor skills, concentration, problem solving skills and teamwork with other children to build something together. In addition, children will be able to “drive” the ship using a steering wheel, telescopes and a periscope for budding captains, a control panel and more...Because the more children play pretend, the more their creativity is stimulated. The Mustela Foundation's funding of this significant renovation work over autumn 2017 came to 20,000 Euros.